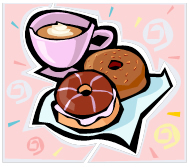 1st Friday breakfast 7:30-7:50am Parents are invited to eat breakfast with their children in the courtyard. Teachers will have “room service” (a.k.a. student council members) deliver breakfast to their classrooms.